Below are several reviews from some of our many happy clients. To read more please go to The Knot and Wedding Wire. I cannot say enough positive things about Jess and Jess. They are extremely professional yet down to earth and willing to get into the trenches to capture the best photo of your memory. 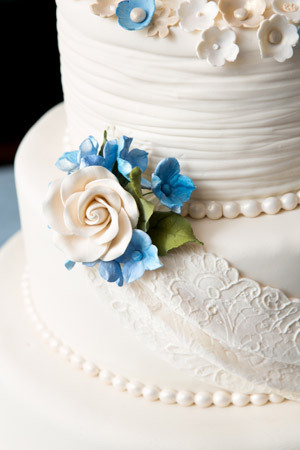 They come loaded with ideas to help express your special day (and in my case, a special two days). The day you receive that special link to review your wedding photos on their blog your heart will sink and your eyes will tear up. Jess and Jess have all of the tips and tricks you will want to know to ensure the most stunning of photos. Their albums are out of this world, super custom, detail oriented, and reasonable priced considering the quality of the book and process that goes into creating one. I have no doubt that Paired Images could make even the simplest (or extremely glamorous) of weddings look like a fairy tale in a frame. From beginning to end Paired Images were amazing! They were always professional and answered any questions I had. They were also great at responding to all of my emails in a timely manner. Everyone enjoyed having Paired Images at the Wedding. They worked well with my family and friends and captured every moment. My bustle fell out during the reception and Paired Images was there to save the day and came up with an emergency bustle! I loved that they posted a sneak peek of my wedding on their blog. This helped with my anticipation to see the wedding photos. When I got to see my photos I was blown away!!!!! All of them were beautiful and better than I had imagined!! They captured every detail in the wedding and all of the hard work I put into it. They also captured moments that I didn’t even know they had photographed! I received countless compliments on my wedding photos! Everyone would tell me how beautiful the photos were! I would recommend Paired Images to any bride looking for well rounded photographers that will make sure your day is everything you dreamed of! I could not write enough good things about Jessica and Jessica. My brother in law is a professional photographer, so we let him pick our photographer and he told us Paired Images was the best. After looking at their portfolio I had to agree! As for Jessica and Jessica, they are awesome! We did not have the most cooperative wedding party (or flower girl) and they were so patient with us. Our pictures are incredible! It is not just the quality of the photos, but they seem to know how to find the perfect moment and capture it forever. One image I have come to cherish is one of my grandmother and me. She has since passed away and having that picture up in my house means the world to me. I am so happy that we chose Paired Images for our wedding and I cannot wait to use them again when we need some newborn pictures done!